OLD PARKED CARS. 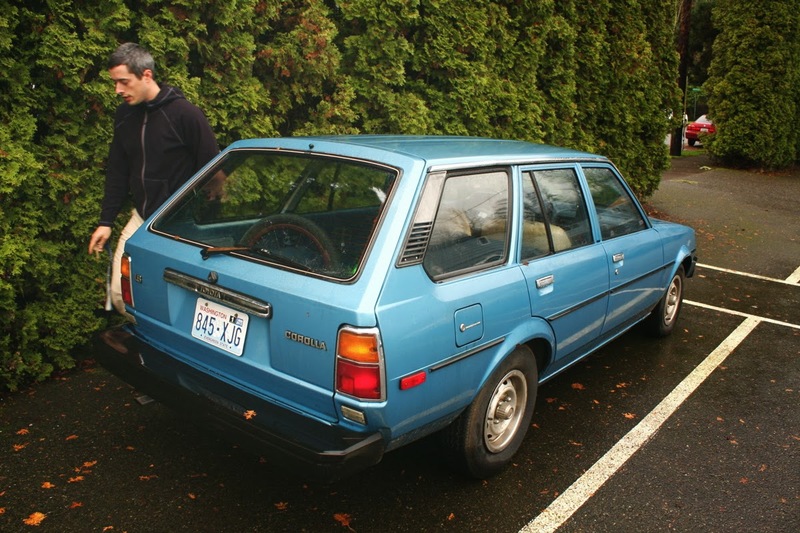 : I think this makes eleven: Ben's 1980 Toyota Corolla Wagon. I think this makes eleven: Ben's 1980 Toyota Corolla Wagon. I only saw this car one time before Ben sold it. I see it driving around town on occasion but haven't had the chance to photograph it under someone else's ownership. These are so cool. I didn't know quad rounds were available in '81 too! 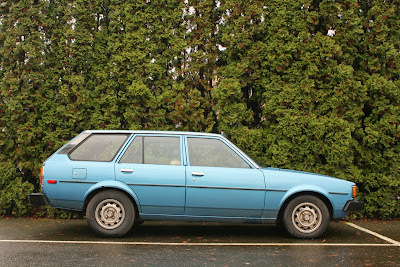 I haven't figured out which Corollas of that era had the quad round lights versus the dual squares. Perhaps the SR5 model had the square lights? Isn't this a 1980 model? I'm pretty sure the quad rounds were only available for that year. Yep, quads were only for 1980. 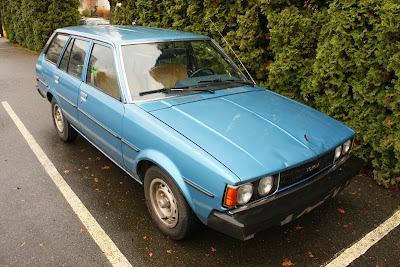 The vast majority of my Corollas have been 81 and 82. I have got a pretty rare(IN USA)1982 Cressida wagon(5spd manual)bone stock.should send you some pictures.same color as this one. @ anon with the cressida, they're not rare, they just weren't valuable so they all sit in regular people's yards and fields going unnoticed. the ones you typically find on the internet are in the hands of the classic japanese bandwaggoners or in wrecker lots waiting to meet the crusher. @ben this car's twin lived in the wrecking yard close to me for a while. i considered snatching the grille and headlights but it got eaten before i could pull them. Like the bigger tires on the rear. Gives it a slight rake.